Garrett was an “old soul” with a terrific sense of humor. Music, history, traveling and spending time in the North Carolina mountains with his grandparents were just a few of the many things he enjoyed. Garrett had a big heart and was always doing whatever he could to help people. 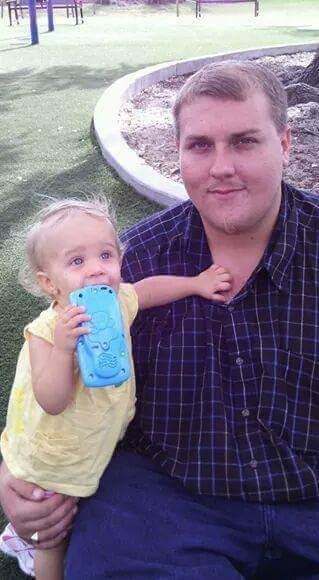 Family was extremely important to him, especially his two-year-old daughter, who was the love of his life. Garrett was 24, attending college and planning for a bright future, when his life suddenly ended in a devastating car accident. Garrett registered as an organ, eye and tissue donor when he got his driver license at the age of 16. That decision ultimately meant that in Garrett’s passing, the lives of 74 people were able to be saved or healed. His donation did more than benefit his many recipients, however; in a time of tremendous grief, Garrett’s family found comfort in knowing that he lived on through his many gifts of life. Since his passing, Garrett’s parents have become active donation advocates. They tell Garrett’s story whenever possible and share his decision to register as a donor made a difference in the lives of others.